Dell branded (non-generic) 2TB SATA HDD for your EqualLogic storage needs. The 9YZ168-236, 2P4N9 is a 2TB 7.2k RPM SATA 6.0Gb/s hard drive for use specifically in Dell EqualLogic storage arrays. Whether you’re upgrading your Dell EqualLogic storage system or simply looking for a replacement hard drive, we have what you need. If you don’t see the part listed that you’re looking for, please use our Contact Us form; as we have many parts in inventory that are not listed. Please note that all Dell EqualLogic hard drives, systems and parts are used refurbished, fully-tested, and backed by a 60 day warranty. 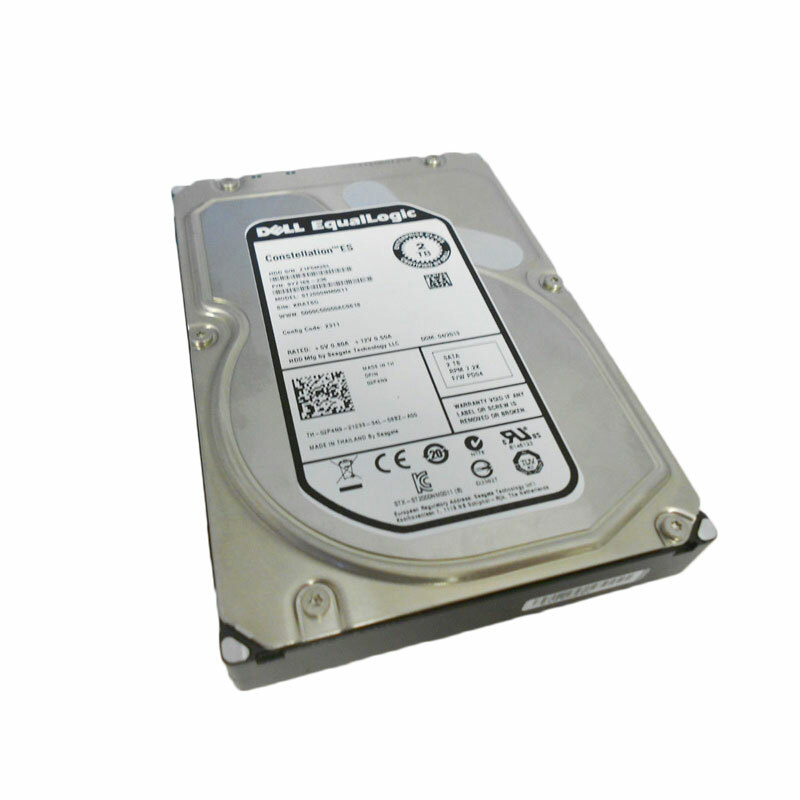 Dell EqualLogic SATA HDD with part numbers 9YZ168-236, 2P4N9 & ST2000NM0011 is best suited for higher-capacity environments to help realize cost and capacity benefits. Sequential access applications have a tendency to maximize any caching advantages of the storage system, and take advantage of the higher density SATA disk drives. In these applications, the speed at which the drive can transfer data from the platter has the greatest effect on overall performance. Thus, medium-to-large block and sequential I/O applications can reap the greatest benefits from the drive’s higher area-bit densities. Pleased to find a site like this. Previously purchased directly from someone else but SPS Pros has more stock. Upfront pricing and fast shipping is a huge time saver. It’s nice that I can order at any time. I didn’t contact support, but my orders have always shipped quickly and products like this 2tb hard drive worked perfectly and saved me a few bucks. Shipped out the same day. Already replaced our failed drive with zero issues. Dell branded, couldn’t ask for a better experience.